The Good: The plot was a welcoming variation from all of the traditional greek mythology-based movies we've come to see over the years. 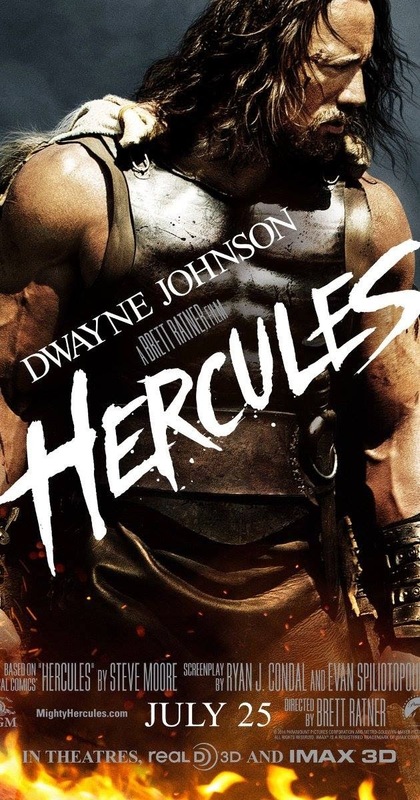 We get an interesting emphasis on Hercules' "legend" for the majority of the movie. It does a pretty good job of blurring the lines between truth and legend. (Kind of like in Game of Thrones) You're going to get a decent amount of action and the expected level of acting from Dwayne The Rock Johnson. The Bad: While there was a minor plot twist towards the end of the movie, it just wasn't anything that would blow your mind. This was a pretty basic movie in terms of the story, the character development, and sometimes even the action. The Reason: To the movie's credit, the trailer surprisingly didn't give a lot away. Majority of the scenes you see in the trailer are at the very beginning, which enables you to enjoy the movie spoiler-free. The movie does offer a 3D element, which is nice. Because the movie is entertaining, but far from epic, I'd recommend seeing this as a matinee at best. It would make for a pretty decent rental. If you love greek mythology, this will give you a different perspective on it, so you'll probably appreciate it. Go in with with low expectations, don't expect to be Wow'd. Be sure to stick around for the animated credits that continue showing additional parts of the story.